RPCC has a 0.6% graduation rate. This is “successful”? Yes, I know, I’ve ranted and documented the massive fraud of the community college scam system, but recent statistics really point out how bad things are. Inside Higher Education has a helpful page of all sorts of college related statistics. 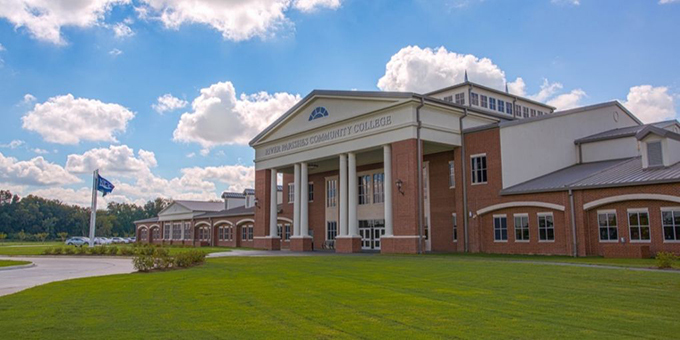 Today we’re looking at River Parishes Community College, in Louisiana, a two year college that’s been around over 10 years, and even recently was given a new campus…it must be a pretty successful school to be given such a boon, right? Now, community colleges primarily offer 2 year degrees. So, what percent of students that step onto RPCC’s campus actually have a degree 2 years later? Inside Higher Education tracks such things, so it’s easy to click a few buttons and find out. The success rate? 0.6%...I’m serious. Over the course of 10 years, not one student in 150 has actually managed to get a 2 year degree within 2 years. Is RPCC a fraud? Is RPCC merely a joke? It’s hard to tell, but the official statistics sure don’t look so good. Halley’s comet is considered a rare event, because it only comes by less than 1.5% of years. A 2 year graduate of RPCC is more rare than Halley’s comet. For all I know, the only reason literally nobody gets their degree on time at this place is because of a rounding error in the statistics! Keep in mind, administration compiles these statistics and submits them. They know full what well they’re doing: sucking students in, loading them up with bogus coursework for years until the money runs out, then tossing them back out. And this is a successful school, to judge by how well it’s been rewarded. There are several news articles detailing how quickly RPCC has grown. But should growth really be the true measure of a school’s success? It’s all administration seems to think, I admit. Where are the articles on the almost pure failure rate? Why is nobody even asking the question if we need public “institutions” like this? A look at the course offerings really does tell the tale: there’s no second year coursework there, at least none that a university would consider second year. No wonder there are no on-time graduates. For-profit institutions legitimately catch flack for misleading students, but I sure don’t see anything on RPCC’s web page honestly telling students that pretty much nobody gets a 2 year degree in, you know, 2 actual years. A look at faculty, at least in mathematics, further reinforces the hopelessness of getting an education: it’s all Education faculty. “But Professor Doom, you’re looking at the worst school in the state!” is a fair counter argument, but it’s hard to dispute the new campus RPCC received as a reward for such growth. Nevertheless, perhaps looking at the worst school in the state is unfair. 0.6% is successful enough to merit a new campus. What % is necessary for failure? So, let’s move over to a nearby school, one my blog has examined before, Baton Rouge Community College, about 10 miles away from the “glowing success” of RPCC. BRCC has a screaming 1.3% two year graduation rate…we’re talking only one student that goes into every three classrooms actually comes out in two years. High schools with this level of graduation would be a national disgrace, and BRCC actually looks good on the curve! Based on previous analysis, it’s pretty clear there’s no, or very little at best, college education is going on at this community college. I point out both these schools are over a decade old, so have had plenty of time to get students through 2 years of coursework, and refine programs to make that happen…admin knows full well what’s going on, although faculty might not (unless they happen upon the stats from IHE, which they generally can’t get from admin). As hard as it is to imagine, a closer look at the statistics tells even a sadder tale, even at BRCC, which is apparently “twice as good” as the successful RPCC. Another statistic compiled is the “cost per degree”. This isn’t the cost to the student, it’s the cost to the taxpayer for each one of these (basically worthless) degrees, regardless of how long it took. The gentle reader should recall that the whole point of community college is it’s “cheaper” than a university. I earlier discussed how this is a lie, though why trust a blog when the official statistics are available? The “average cost” of a 4 year degree at a “typical” university isn’t so easy to figure because it varies so much by university, but is running close to $100,000. Of course, that’s a “typical” university, not an easily described thing, and here we’re looking at specific community colleges. It’s much easier to get the cost at a specific place. “Hey, that IS cheaper!” comes out a little shrill here. I don’t have an Education degree, but I honestly think a 2 year degree should cost around half of a 4 year degree. Now, while I grant that’s the cost of a degree, realize quite a bit of money is being spent on the other students…even if they don’t get a degree, they’ll still spend years on those pits of doom campuses. More accurately, the money is being spent on a legion of administrators. These administrators’ high salaries and great number are justified, we’re always told, because they “help” students. How much help are the students getting to achieve that 1%-ish graduation rate? Seriously, instead of building a community college, why not just hand each potential student a check for $90,000 and be done with it? The campuses could be bulldozed, and turned into perfectly good parks or something. All those $100,000 a year administrators would be out of a job…but it’s clear they’re not doing any good. The sole reason for these little money-sucking institutions to exist is because they allow administration (and, I admit, “students”) to grab that Pell Grant money. Most goes to a heavily overpaid and generally worthless—as documented above!–administration, while crumbs go to students. The mathematician in me can’t help but play with the statistics. The “raw” statistics give a borderline significant negative relationship between graduation rate and Pell Grant recipients (p= .07). What did I just say in English? There’s some evidence that the more Pell Grant money you hand out, the less likely you’ll be doing anything good with it. If I fiddled with the statistics the way government does, I’m sure I could make it “very strong” evidence, but the fact remains: even a cursory glance shows that the “free” money is actually hurting education. I’ve discussed the immense Pell Grant scam before, where nonexistent record-keeping allows “nomadic students” to go from campus to campus, loading up on bogus coursework while getting the crumbs left over from the Pell Grant checks. Estimates of how many Pell runners there are vary, but 25%, perhaps double that, of the people attending community college are there for the checks, nothing more. Administrators are the primary reason there are no records, of course. Again, this is unsurprising: not just RPCC, but all institutions get rewarded for growing institutions with students, and any warm body can count as a “student”. While much of the system is corrupt, most schools maintain a small cadre of at least semi-legitimate faculty and coursework, wheeling them out whenever a Potemkin campus needs to be shown for an inspection. So, because we don’t have complete fraud, the statistics merely say “there’s probably something fraudulent going on here” instead of simply revealing the truth (not that statistics are particularly good at revealing the truth anyway, I readily concede). Simply looking at the numbers, we have community colleges that are 100% failures (ok, that’s an exaggeration, the official stats say they are 99.4% failures…you can make soap out of that, right? ), that cost twice as much as a university education, that have large numbers of bogus students and catalogues packed with bogus courses. Even with these documented facts, such schools are good enough to justify building new campuses for them. And Obama says we should send everyone to these places. Suppose we do, and suppose community colleges fail as horrifically as, well, they already do…they’ll still have lots of growth, right? Will we then pave over the country slapping down more campuses? Wouldn’t it be far more ethical and cost effective to simply shut them down?